Dr. Stewart is a Plastic Surgeon with an M.D. from the University of Guadalajara, Mexico and a Bachelor of Science from the University of Utah in Salt Lake City, UT. He has completed his residency in General Surgery at Mt. Carmel Hospital and Providence Hospital in Detroit and Southfield, MI. He continued his residency in plastic surgery at St. Joseph Hospital in Houston, TX. A former US Senator, Dr. Stewart served as a Chairman of Health and Human Services, and prior to that, as Chief of Division of Plastic Surgery for the Utah Valley Regional Medical Center in Provo, UT. 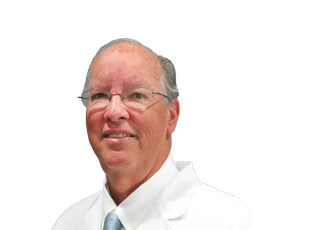 Married for 33 years, Dr. Stewart has four children and seven grandchildren. He is an active member of the Church of Jesus Christ of Latter Day Saints and heavily involved in charitable contributions to The Hirsche Smiles Foundation and Brigham Young University.